Jeffree Star or Jeffree Lynn Steininger Jr. was born on November 15th 1985. He is an American internet celebrity, makeup artist, entrepreneur, and musician. He is the founder slash owner of the makeup company called Jeffree Star Cosmetics. on his videos that he posted. His first cosmetics release was a collection of velour liquid lipstick, which were followed by highlighter palettes, clothing, and even accessories such as makeup mirrors and makeup bags. The first physical Jeffree Star Cosmetics store opened at Westfield Garden State Plaza in Paramus, New Jersey on August 11th, 2018. As a youtuber, Jeffree was controversial because of a lot of things. While he was controversial because of a lot of things, everything starts because while he was raising to fame, someone dig deeper to his past and found out that he used to be a mean and racist person 12 or more years ago. He used to shout at random people on the streets that are calling him names and he once said a racial slur at someone too. He later then apologized for his past behaviour by making a video to his YouTube channel. In the video, he offered his apology and share his side of the story “from human being to human being.” He addressed the “vile, nasty, disgusting, and also embarrassing” things that he’s made in the past. Jeffree also said that he;s sorry and that racism is a very serious subject. In his video, he said that as a human being, he is embarrassed of what he had done in the past being mean and racist is something that he never stood for. He later goes on and offer a direct apology of what he has done in the past and he ended up the video by saying that he is a changed person now, he is not what he used to be and he hope that we could accept him for who he is now. Other than his racist past, Jeffree also has some feud with a bunch of people including; Kat Von D, Kim Kardashian and Kylie Jenner, Manny Gutierrez (Manny MUA), Laura Lee, Nikita Dragun, and a lot more. Before his racist pas was brought up, Jeffree had tons of friends. He was friends with Laura Lee, Manny Gutierrez, and also Nikita Dragun (all are famous youtuber of the beauty community in YouTube). They were often seen on social media spending time together and making collaboration videos together too. But everything started going downhill for him since his past actions resurfaced. Laura and Manny allegedly turn their backs on Jeffree and befriend another beauty youtuber named Gabriel Zamora. In Noverber 2017, Jeffree stated that he has been working alone and “had been removing a lot of negative people from his life.” Laura and Manny subtly confirmed the feud by liking a bunch of shady tweets about their relationship with Jeffree. In August 2018, a fellow youtuber called Shane Dawson made a documentary series of Jeffree Star and a few days after that, Gabriel Zamora posted a picture with Manny and Laura satirizing Jeffree. People were quick to call out Gabriel for being a bully and from that also, past tweets from Gabriel, Manny and Laura started showing up and it turns out that they’re not that different from Jeffree in the past. They have said some vile and racist things too. From that onwards, Manny and Laura start to turn their back from Gabriel also and they said that Gabriel posted that picture of them without their consent. As their past tweets started to show up, Gabriel made a 48-minute apology video which was well received by a lot of people. Gabriel officially took Jeffree’s side and denounced his friendship with Manny. As for Laura and Manny, they both also did an apology video but it backtracked on them and the backlash was not good. Laura and Manny both then decide to disappear from social media for a month. After that drama, people were quick to notice that Laura and Manny seemed like they were using Jeffree for fame. Before all this happened, Jeffree was a lot more famous than Laura and Manny combined. Jeffree was the one who introduce them to a bunch of people to make them grow bigger than before. As for Jeffree alone, many people started to forgive him ever since the Shane Dawson documentary series (docuseries) aired on August of 2018. In the video, Shane talked about lots of things with Jeffree. 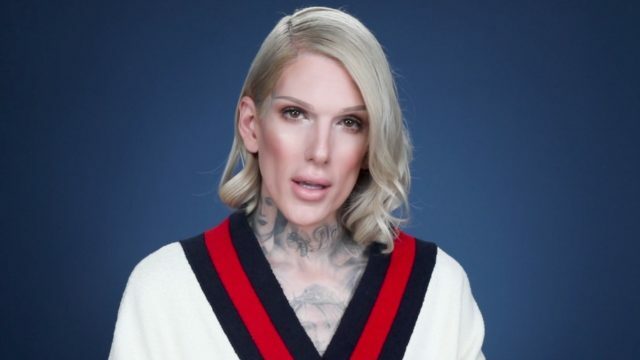 The 5-part series was well received by the community and a lot of people started to open up with the thought of Jeffree Star, the controversial youtuber. Things started to get serious on the third episode. Jeffree takes Shane to one of his warehouses where he would send his makeup product to people all around the world. And from there on out, it’s revealed that Jeffree’s company also makes merch for other youtuber and even other companies. There, they went on to one of Jeffree’s office and Shane asked how did he get all this and how much he earned a year. Jeffree then revealed that he earns money from doing business with other person, doing investments, making videos and also selling his makeup products and merch. It was also revealed that Jeffree earns about a few million dollars in a year. On the last episode of the docuseries, after they went on that mini trip to the makeup factory, Shane takes Jeffree to an apartment complex where he lived before he was famous. There, Jeffree met up with his old landlord and the landlord allowed him to go up to his old apartment to reminiscent his past there. In this episode, it’s not all sunshine and flowers. Here, Jeffree addressed his past, where he was a mean person and why he was racist. He said that he was a very angry child, he feels like people don’t understand him just because he is different from others (he’s a male and yet he wears makeup and unisex or even sometimes women’s clothing) and he feels like he needs to be mean so that he could defend himself from all those people who are already mean to him. But he now realises that a lot of people still accept him for who he is and that saying those vile and vicious things can hurt a lot of people even if it’s not stated directly towards them. He apologized for his mistakes and he owns up for it. Jeffree then also revealed that he doesn’t have a lot of friends because he’s been hurt so much by his ex-friends (the drama with Kat Von D, Manny, and Laura) that led him to have trust issues. Jeffree also has tattoos all over his body because he wanted to hide his scars. Turns out, ever since high school, Jeffree used to hurt himself, he used to cut himself so deep that the scars still showed up until today. He was hurt because growing up, he didn’t have a father figure to lean on to and his mother wasn’t really there for him. From Shane’s docuseries, people slowly started opening up to the thoughts of Jeffree Star. People starts to realize he is truly sorry for his mistakes in the past and they slowly start to forgive him. Jeffree Star. The most controversial beauty youtuber has been knocked down a bunch of times are able to get back up to his own two feet by himself. He is also a living proof that even though you made awful mistakes in the past, you could grow up and change to be a better person. He owned up to his past mistakes, he knows the things that he did was wrong and proved to us that he will never repeat his past mistakes ever again.